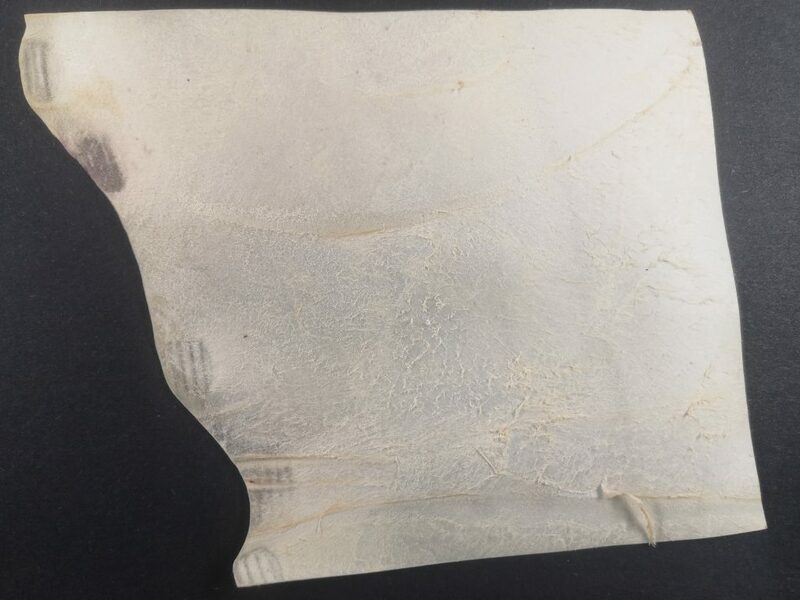 The primary writing material in the medieval period, parchment was made from dried animal hide, treated and scraped until it reached a desired appearance. Sheep hide was the most common; the most expensive came from cows. The creation of single sheet of parchment required a great deal of time and labour, leading to the relative rarity of books. As parchment was precious, scribes had to get creative to fit a lot of content onto a single page. Abbreviations were a common mechanism for doing so. 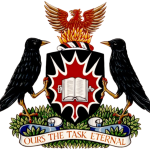 For modern scholars, these highly abbreviated texts can cause quite the headache! 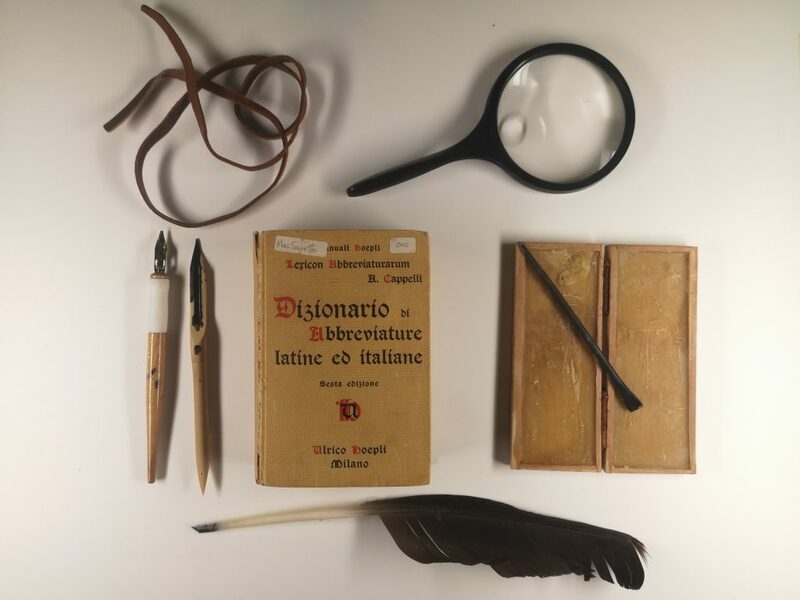 Luckily, Dizionario di abbreviature latine ed italiane is a compendium of many Latin abbreviations, making it an essential part of the medievalists’ toolkit! 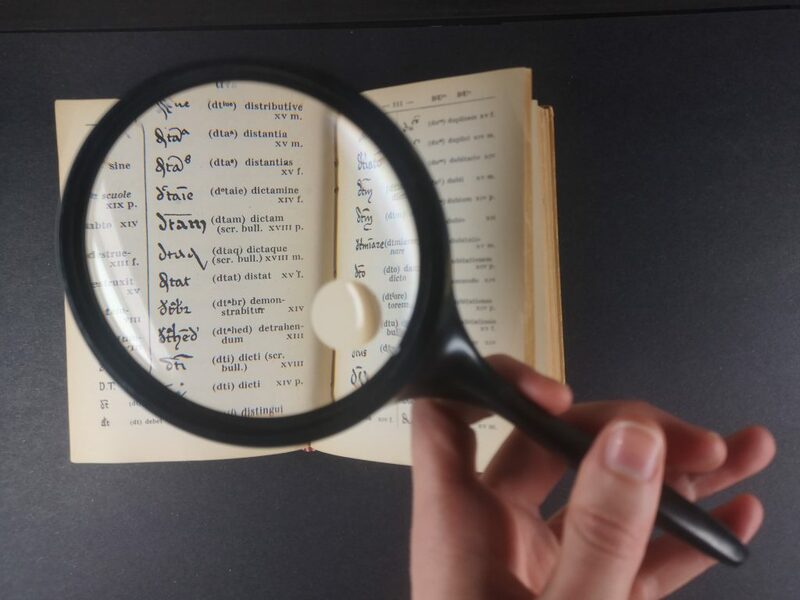 Manuscripts require close examination with the aid of a magnifying glass. 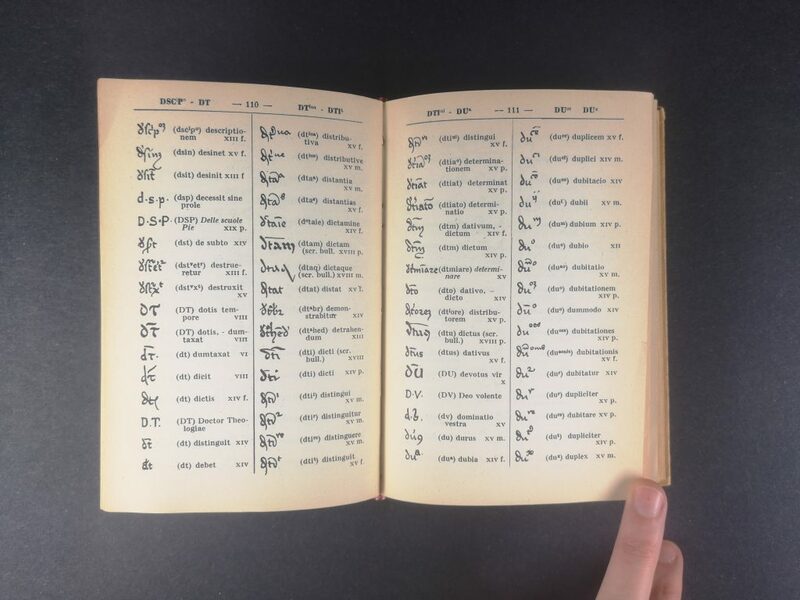 Researchers can achieve a level of detail that allows them to catalogue imperfections, hidden features (such as removed letters), scribal markings (such as ruling lines that allowed scribes to write in straight lines), and damages. This information reveals much about the manuscript’s creation and provenance. Parchment was usually reserved for book making. Therefore, scribes would learn to write on wax tablet like the one pictured. 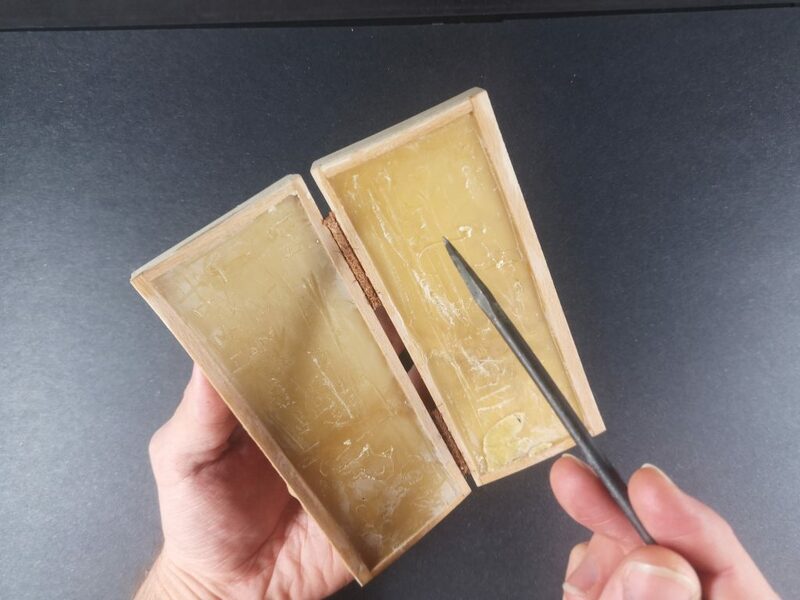 It allowed them to practice writing in a non-permanent fashion, as the wax could be warmed to easily clear the surface to prepare it for reuse. How environmentally friendly! The feather quill was the most common writing tool in the Middle Ages and certainly the most iconic. They were typically made of goose feather and generally only included the hollow center, the feathers themselves were usually removed! Some quills were wooden. They were made by carving the wood to simulate the same hollow center of a feather, creating a channel for the ink. 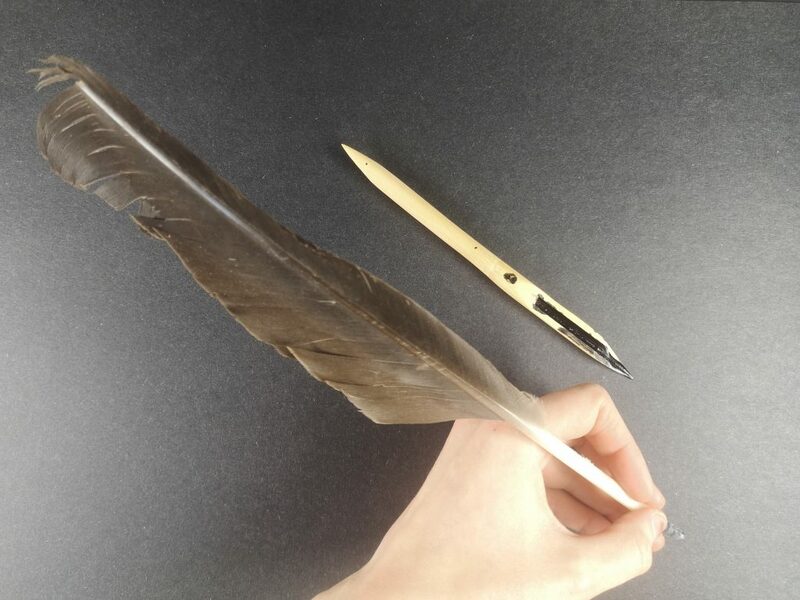 The quill pen pictured here is an example of a later development in writing tools. 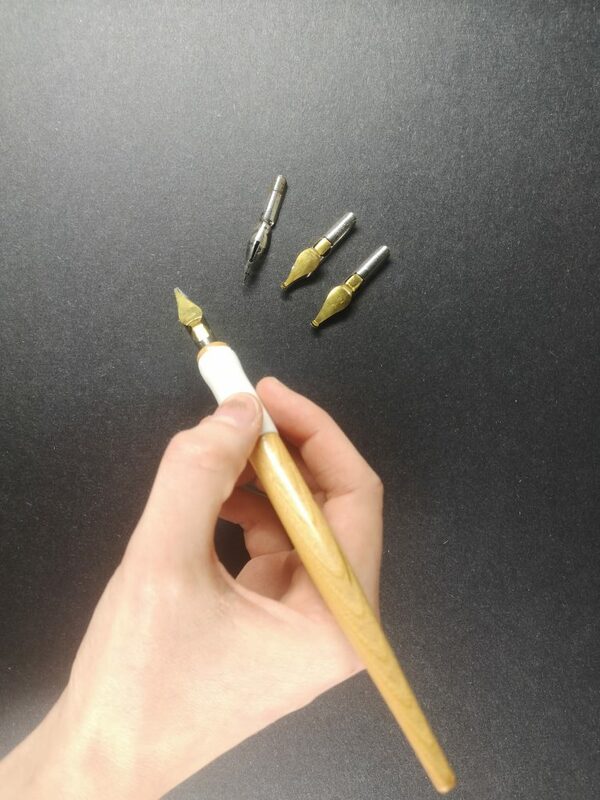 Fashioned with a wooden handle and metal quill nib, these pens were more durable and accurate than their feathered counterparts. Different sizes of nibs were used to transition from the main book hand to finer details and flourishes. You can find many lovely examples of such flourishes in our exhibition.